For those who already have enough striped and solid ties in their tie collection, here is a new unique pattern you should not pass up. 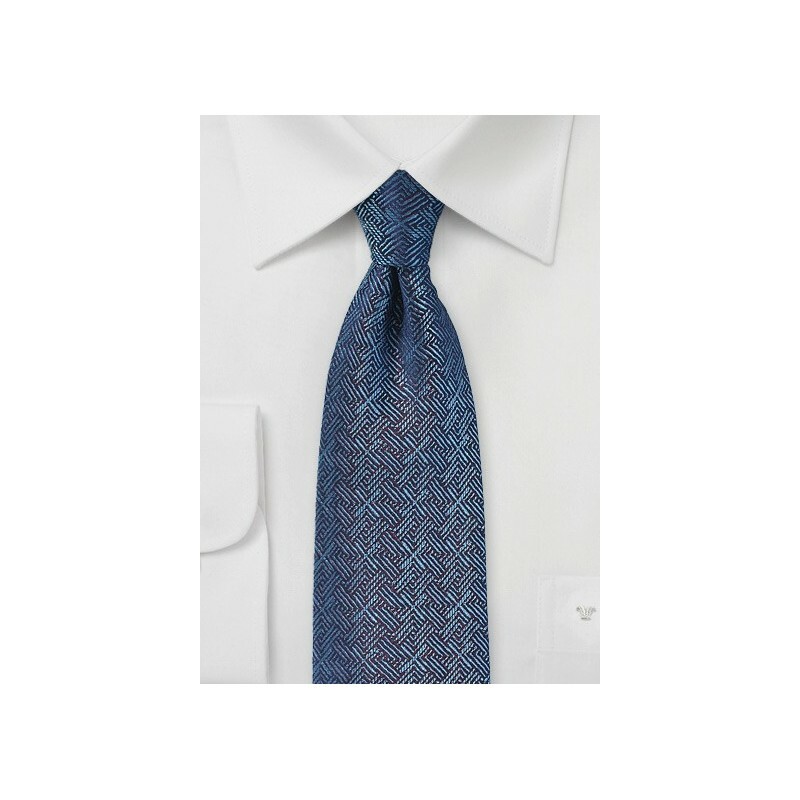 It is a design that is just as easy to mix and match as your solid or striped ties, but at the same tie will transform your suits into all new looking outfits. 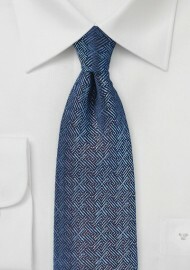 The denim blue and navy color combination also makes this tie great for all classic shirt and suit colors. Made by hand from finest woven silk by Chevalier.